An expansion to make the game (and the bandits) richer! 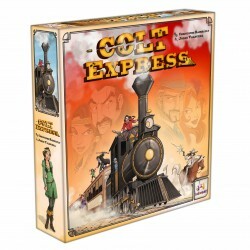 Beware - The base game COLT EXPRESS is required to play this expansion. 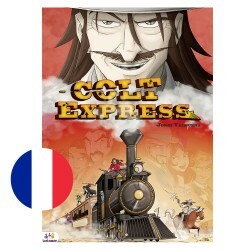 An expansion for the multi-awarded robbering train game! 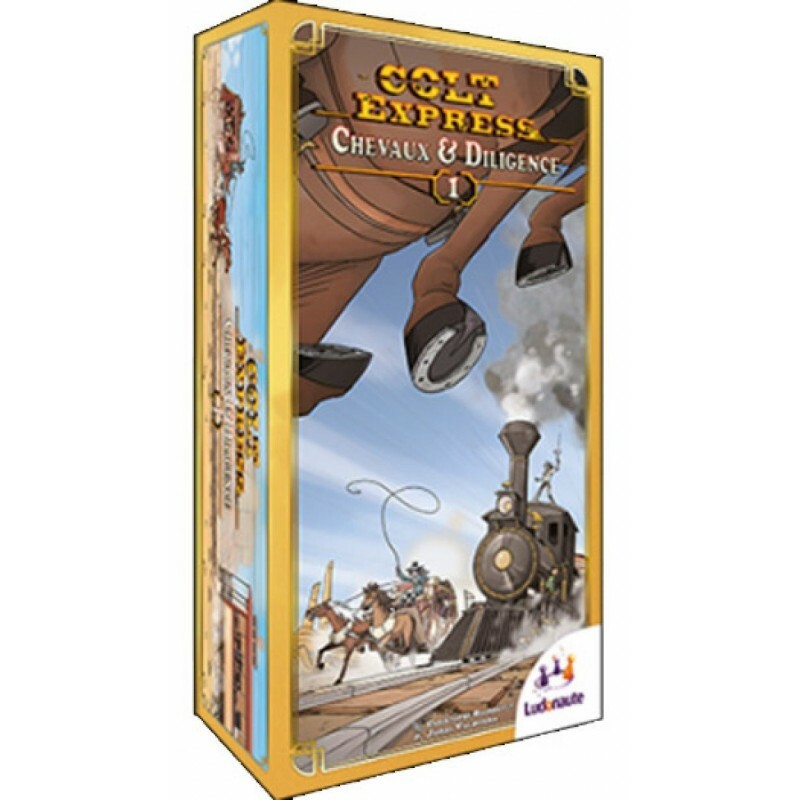 The players are now attacking the train by horse and move faster between the cars and between the train and the stagecoach, riding horses. 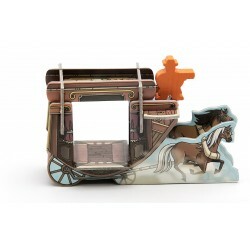 In the stagecoach, passengers can be taken hostage. They will give the bandits a ransom but they will annoy them during the game, for sure. The shotgun patrols the roof and he is angry! 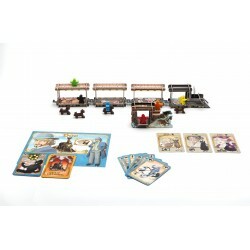 He'll shoot everything that moves: he is a new obstacle for the bandits to overcome. But Whisky flasks and new events will help the outlaws to survive and become richer. Horses & Stagecoach does not change the game duration, nor the number of players.